Aderibigbe, Semiyu Adejare (2011) Exploring collaborative mentoring relationships between teachers and student teachers. Teacher Education Advancement Network Journal (TEAN), 3 (1). Anderson, Jill and Burgess, Hilary (2011) Developing emotional intelligence, resilience and skills for maintaining personal wellbeing in students of health and social care. mhhe (mental health in higher education) SWAP (Social Policy and Social Work). Bendell, Jem, Miller, Anthony and Wortmann, Katharina (2011) Public policies for scaling corporate responsibility standards: expanding collaborative governance for sustainable development. Sustainability Accounting, Management and Policy Journal, 2 (2). pp. 263-293. Bloxham, Susan, Boyd, Pete and Orr, Susan (2011) Mark my words: the role of assessment criteria in UK higher education grading practices. Studies in Higher Education, 36 (6). pp. 655-670. Bourne, Richard (2011) Book review: Malcolm Brown / Tensions in Christian Ethics: An Introduction. Theology, 114 (1). pp. 73-74. Boyd, Pete, Harris, Kim and Murray, Jean (2011) Becoming a teacher educator: guidelines for induction, 2nd edition. Escalate: subject centre of the Higher Education Academy, Bristol, UK. Boylan, Brigitte, Foley, Mike and McTernan, Nigel (2011) An investigation of how Initial Teacher Education supports the development of primary trainees' understanding and teaching of Philosophy for Children and concept cartoons. Teacher Education Advancement Network Journal (TEAN), 2 (1). Bradshaw, Penelope (2011) 'Romantic Poetic Identity and the English Lake District’. Transactions of the Cumberland and Westmorland Antiquarian and Archaeological Society, 11 . pp. 65-80. Cantlay, Nicholas (2011) Sonographers' experiences of breaking bad news in prenatal ultrasound: a phenomenological analysis. 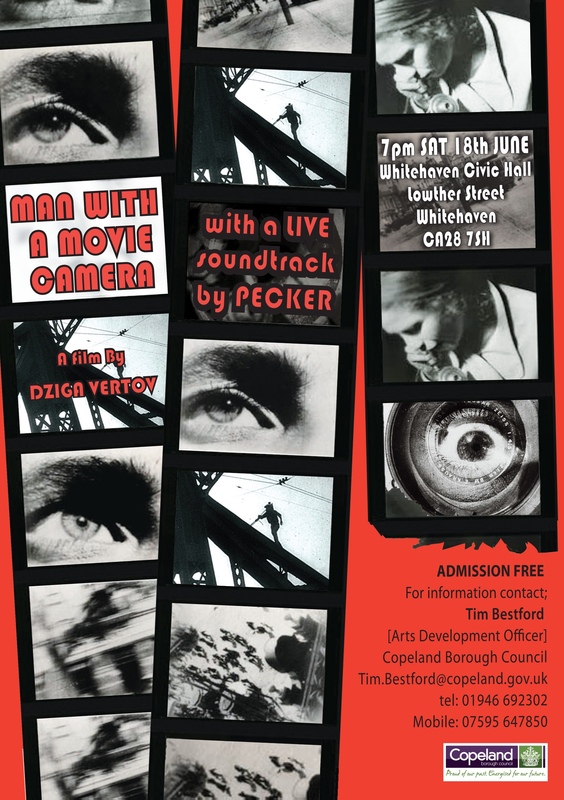 Doctoral thesis, University of Cumbria (awarded by Lancaster University). Christie, Colin (2011) Speaking spontaneously: an examination of the University of Cumbria approach to the teaching of modern foreign languages. Doctoral thesis, Institute of Education, University of London. Darwell, John (2011) Hadrian's Wall [image]. In: Wells, Liz, (ed.) 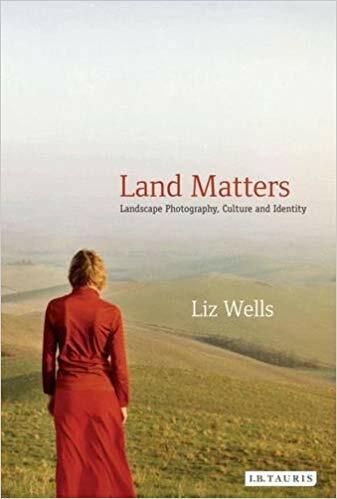 Land matters: landscape photography, culture and identity. International Library of Cultural Studies . I.B. Taurus, London & New York, pp. 178-181. Davies, Huw and Darwell, John (2011) Introduction to exposure. In: Clements, Louise and Cramerotti, Alfredo, (eds.) Format International Photography Festival catalogue - Right here, right now: exposures from the public domain. QUAD, Derby, UK, p. 94. Deecke, Volker B., Nykänen, Milaja, Foote, Andrew D. and Janik, Vincent M. (2011) Vocal behaviour and feeding ecology of killer whales Orcinus orca around Shetland, UK. Aquatic Biology, 13 (1). pp. 79-88. Deecke, Volker B. and Riesch, Rüdiger (2011) Whistle communication in mammal-eating killer whales (Orcinus orca): further evidence for acoustic divergence between ecotypes. Behavioral Ecology and Sociobiology, 65 (7). pp. 1377-1387. Eldridge, Jim (2011) Badlands : Gold Rush. Catnip, London. Eldridge, Jim (2011) Bomb! Barrington Stoke, Edinburgh. Eldridge, Jim (2011) Standing Alone. My True Stories . Scholastic, London. Eldridge, Jim (2011) Urban Assassin. Black Ops . Egmont Books Ltd, Glasgow. Elliahoo, R. (2011) Dilemmas in measuring the impact of subject-specific mentoring on mentees' learners in the lifelong learning sector. Practitioner Research in Higher Education, 5 (1). pp. 39-47. Elton-Chalcraft, Sally (2011) ‘We are like dictionaries, Miss, you can look things up in us’: evaluating child-centred research methods. Education 3-13, 39 (2). pp. 187-202. Engstrand, Sue M. and Hall, Suzanne (2011) The use of stramlined lecture recordings: patterns of use, student experience and effects on learning outcomes. Practitioner Research in Higher Education, 5 (1). pp. 9-15. Ensoll, Richard (2011) 'Going up': understanding and developing efficient uphill walking. Horizons, 53 . pp. 30-33. Esformes, Joseph, Keenan, Matthew, Moody, Jeremy and Bampouras, Theodoros (2011) Effect of different types of conditioning contraction on upper body postactivation potentiation. Journal of Strength and Conditioning Research, 25 (1). pp. 143-148. Foteinis, Spyros, Kouloumpis, Viktor and Tsoutsos, Theocharis (2011) Life cycle analysis for bioethanol production from sugar beet crops in Greece. Energy Policy, 39 (9). pp. 4834-4841. Fowler, Martin (2011) KnowHow verklag II: thoughts on drawing and textile studies. In: Gunnarsdottir, E. and Bjarnadottir, H., (eds.) Knowhow verklag II: thoughts on drawing and textile studies. Reykjavik School of Visual Arts, Reykjavik, Iceland, pp. 1-54. Gager, Philip C. and Shackleton, Mark B. (2011) A snakes and ladders representation of stock prices and returns. Mathematical Gazette, 95 (533). pp. 177-185. Gates, Brian (2011) ‘Doing God’ in ethics and education: a play in five acts. Journal of Moral Education, 40 (3). pp. 309-317. Gossman, Peter (2011) My 'best' teacher. Teacher Education Advancement Network Journal (TEAN), 3 (1). Grimwood, Tom and Miller, Paul K. (2011) The paradox of ‘ordinary language philosophy’: ambiguous expressions in everyday talk. In: JL Austin Centenary Conference, 5-7 April 2011, Lancaster University, UK. Hurford, Donna and Read, Andrew (2011) Do podcasts and screencasts enable or hinder independent learning? Practitioner Research in Higher Education, 5 (1). pp. 30-38. Hymer, Barry (2011) From cohorts to capabilities: connecting the ‘G&T’ agenda in schools to an influential theory of economic development. G&T Update, 89 . Kilburn, Verna and Mills, Kären (2011) Inclusion and special educational needs. In: Cooper, Hilary, (ed.) Professional studies in primary education. SAGE Publications, London, UK, pp. 108-122. Lawton, Fiona (2011) From concrete to abstract: a story of passion, pedagogy and proof. Mathematics Teaching, 225 . pp. 26-27. Ledwith, Margaret (2011) Community development: a critical approach, second edition. Policy Press. Lemmey, Richard (2011) Dialogue, critique and creativity: some questions for the profession. Horizons, 55 . pp. 30-31. Leslie, Andrew, Mencuccini, Maurizio and Perks, Mike P. (2011) Eucalyptus in the British Isles. Quarterly Journal of Forestry, 105 (1). pp. 43-53. Longstaffe, Stephen (2011) 1 Henry IV: a critical guide. Continuum Renaissance Drama Guides . Bloomsbury. Magas, Mark (2011) New drugs and developments in the research into diabetes treatment. The Pharmaceutical Journal, 286 . p. 311. Mansfield, Lois (2011) Farmers’ views on vital uplands, Bassenthwaite catchment, Cumbria. Natural England. Mansfield, Lois (2011) Upland agriculture and the environment. Badger Press, Bowness-on-Windermere, UK. Marshall, Gill and Jonker, Leon (2011) An introduction to inferential statistics: a review and practical guide. Radiography, 17 (1). e1-e6. Marshall, Gill and Sykes, Anne E. (2011) Systematic reviews: A guide for radiographers and other health care professionals. Radiography, 17 (2). pp. 158-164. Marshall, Gill, Sykes, Anne E., Berry, Jonathan and Jonker, Leon (2011) The “humble” bubble: contrast-enhanced ultrasound. 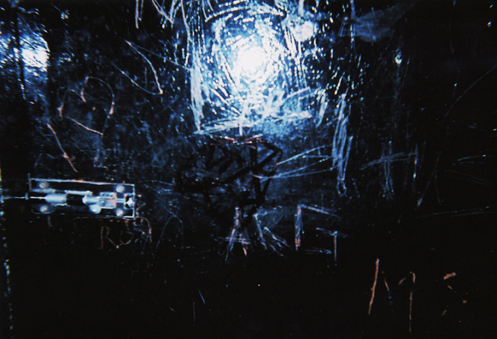 Radiography, 17 (4). pp. 345-349. McCary, Jacqui, Pankhurst, Sheila, Valentine, Helen and Berry, Angela (2011) What works? A comparative evaluation of the roles of student adviser and personal tutor in relation to undergraduate student retention. Higher Education Academy. McNiff, Jean and Whitehead, Jack (2011) All you need to know about action research, 2nd edition. SAGE Publications. Memon, Fouzia, Wijesiriwardana, A. and Jonker, Leon (2011) Maternal and prenatal factors influencing the outcome of prostaglandin E2 induced labour. Journal of Obstetrics and Gynaecology, 31 (3). pp. 220-223. Michel, Deborah and Hymer, Barry (2011) Dilemma-based learning in primary school: integrating social, emotional and thinking skills. Chris Kington Publishing. Miller, Paul K. (2011) Book review: Psychology gets in the game: sport, mind and behaviour, 1880–1960. International Journal of the History of Sport, 28 (13). pp. 1913-1915. Miller, Paul K., Rowe, Louise, Cronin, Colum and Bampouras, Theodoros (2011) Heuristic reasoning and the observer’s view: the influence of example-availability on ad-hoc frequency judgments in sport. Journal of Applied Sport Psychology, 24 (3). pp. 290-302. Moussa, O., Jonker, Leon and Joseph, T. (2011) Marked variation in venous thromboprophylaxis management for abdominal aortic aneurysm repair; results of survey amongst vascular surgeons in the United Kingdom. European Journal of Vascular and Endovascular Surgery, 42 (5). pp. 591-595. Murray, Ann (2011) Professional development as a cornerstone of a new University: the contribution of the MA in Professional Development to the UH story. Practitioner Research in Higher Education, 5 (1). pp. 22-29. Nedumpara, Thomas, Jonker, Leon and Williams, Michael R. (2011) Impact of immediate breast reconstruction on breast cancer recurrence and survival. The Breast, 20 (5). pp. 437-443. Peck, Frank and Cabras, Ignazio (2011) The impact of local authority procurement on local economies: the case of Cumbria, North West England. Public Policy and Administration, 26 (3). pp. 307-331. Peck, Frank, Jackson, Keith, Bloomer, Daniel, Murphy, Ginny and Frank, Stuart (2011) Cumbria Economic Bulletin - March 2011. University of Cumbria Centre for Regional Economic Development with Cumbria Intelligence Observatory. Pemberton, Sue and Cox, Diane (2011) What happened to the time? The relationship of occupational therapy to time. British Journal of Occupational Therapy, 74 (2). pp. 78-85. Poole, Robert (2011) The wonderful discovery of witches in the county of Lancaster: Thomas Pott’s original account modernized and introduced by Robert Poole. Carnegie Publishing, Lancaster, UK. Purnell, L. (2011) 'I must be finished: I've reached the word count': engaging students with assessment criteria. Teacher Education Advancement Network Journal (TEAN), 3 (1). Rawles, Kate (2011) Greening outdoor practice. Horizons, 55 . pp. 20-22. Richards, Colin (2011) The changing context of decision-making in English primary education: ages, myths and autonomy. In: Cox, Sue, Dyer, Caroline, Robinson-Pant, Anna and Schweisfurth, Michele, (eds.) Children as decision makers in education: sharing experiences across cultures. Bloomsbury Continuum, London, UK, pp. 7-14. Simco, Neil and Campbell, Gary (2011) Developing belended learning in higher education - a case study of the University of the Highlands and Islands. Practitioner Research in Higher Education, 5 (1). pp. 3-8. Sinclair, Billy (2011) Inshore Fisheries - Looking Ahead. Scottish Diver . p. 14. Sinclair, Billy, Newman, Stephen J., Vianna, Gabriel M.S., Williams, Steven and Aspden, William (2011) Spatial subdivision and genetic diversity in populations on the east and west coasts of Australia: the multi-faceted case of Nautilus pompilius (Mollusca, Cephalopoda). Reviews in Fisheries Science, 19 (1). pp. 52-61. Snaebjornsdottir, Bryndis and Wilson, Mark (2011) Between you and me. 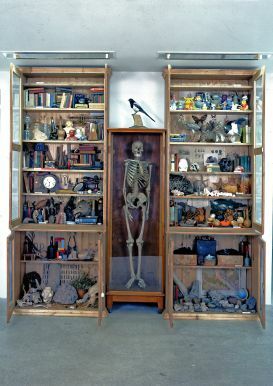 [Show/Exhibition] In: Reconstructing the animal, 18 March - 15 April 2011, Plimsoll Gallery, Tasmanian School of Art, University of Tasmania, Hobart. Snaebjornsdottir, Bryndis and Wilson, Mark (2011) Between you and me. 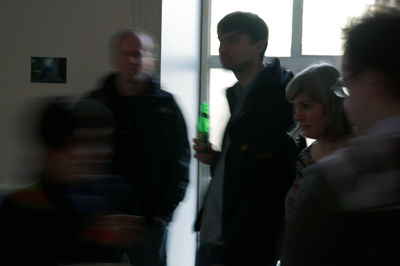 [Show/Exhibition] In: Interactive Futures, 17-23 November 2011, Gallery Gachet, Vancouver, Canada. Snaebjornsdottir, Bryndis and Wilson, Mark (2011) Between you, nanoq and me: reflections on the ambition and inadequacies of representation in the prepared skins of animals. In: Cultures of Preservation : Taxidermy - Animal Skin and Colonial Practice, 13 May 2011, Natural History Museum, London. Snaebjornsdottir, Bryndis and Wilson, Mark (2011) Breeding narratives of intimacies. In: McHugh, Susan, (ed.) Animal stories: narrating across species lines. Posthumanities series, 15 . University of Minnesota Press, Minneapolis, US, pp. 122-124. Snaebjornsdottir, Bryndis and Wilson, Mark (2011) Human-animal relations, places and stories. In: Places, people, stories, 28 - 30 September 2011, Linnaeus University, Kalmar, Sweden. Snaebjornsdottir, Bryndis and Wilson, Mark (2011) I'm not there. [Show/Exhibition] In: Ten days on the island, 18 March - 15 April 2011, Hobart, Tasmania. Snaebjornsdottir, Bryndis and Wilson, Mark (2011) Making space for animal dwelling: worlding with Snæbjörnsdóttir/Wilson. In: Broglio, Ron, (ed.) 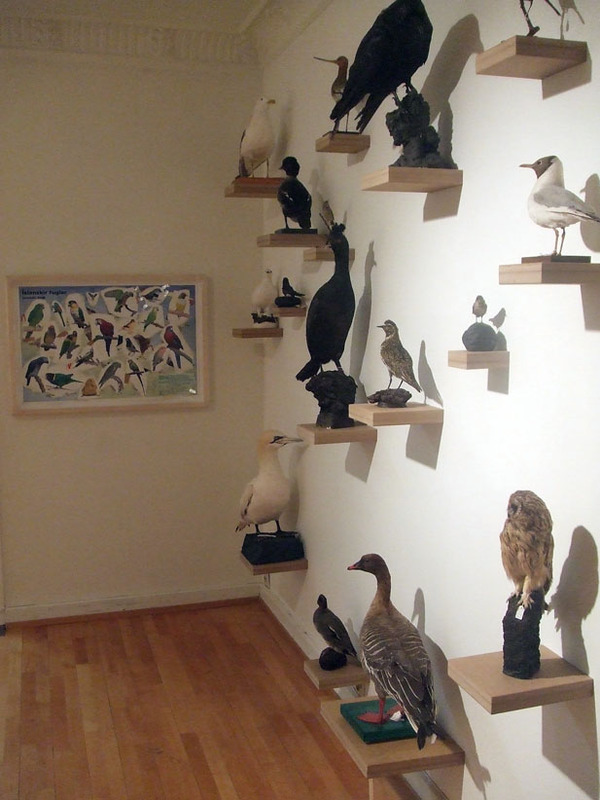 Surface encounters: thinking with animals and art. Posthumanities, 17 . University of Minnesota Press, Minneapolis, US, pp. 57-80. Snaebjornsdottir, Bryndis and Wilson, Mark (2011) Nanoq - flat out and bluesome. [Show/Exhibition] In: Nanoq - flat out and bluesome, 1 June - 31 December 2011, Tromsø Polar Museum, Tromsø, Norway. Snaebjornsdottir, Bryndis and Wilson, Mark (2011) Three attempts [video]. [Show/Exhibition] In: I Seminário Internacional Arte e Natureza: Matilha recebe mostra de Vídeo Arte, 10-16 June 2011, Matilha Cultural, São Paulo, Brazil. 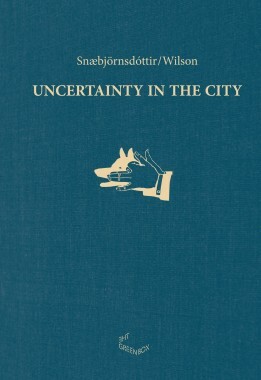 Snaebjornsdottir, Bryndis and Wilson, Mark (2011) Uncertainty in the city. The Green Box, Berlin, Germany. Snaebjornsdottir, Bryndis and Wilson, Mark (2011) Vanishing point: where species meet. 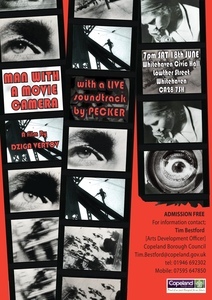 In: The Animal Gaze Returned, 27-28 October 2011, London Metropolitan University, UK. Snaebjornsdottir, Bryndis and Wilson, Mark (2011) Íslenskir fuglar. [Show/Exhibition] In: Í bili (In between), 26 August - 23 October 2011, Hafnarborg, The Hafnarfjordur Centre of Culture and Fine Art, Iceland. Snaebjornsdottir, Bryndis, Wilson, Mark and Foster, Kate (2011) Kate Foster in conversation with Bryndís Snæbjörnsdóttir and Mark Wilson. Art & Research : A Journal of Ideas Contexts and Methods, 4 (1). Snaebjornsdottir, Bryndis, Wilson, Mark and Hagström, Andréas (2011) Conversation with Snæbjörnsdóttir & Wilson. Göteborg International Biennial for Contemporary Art . Steel, Katie, Cox, Diane and Garry, Heather (2011) Therapeutic videoconferencing interventions for the treatment of long-term conditions. Journal of Telemedicine and Telecare, 17 (3). pp. 109-117. Stuart, Kaz (Karen) and Algar, Ali (2011) The use of Transactional Analysis in secondary education: a case study. Teacher Education Advancement Network Journal (TEAN), 3 (1). Summers, D. and Douglas, G. (2011) Engaging remote computing students. Practitioner Research in Higher Education, 5 (1). pp. 16-21. Tebbutt, Niki, Robinson, Lesley, Todhunter, Jane and Jonker, Leon (2011) A plantar flexion device exercise programme for patients with peripheral arterial disease: a randomised prospective feasibility study. Physiotherapy, 97 (3). pp. 244-249. Topping, Jane, Nomi, Karena, Jorgensen, Ase Eg and Fabricius, Jesper (2011) There's some on her palm and in the crook of her arm. [Show/Exhibition] In: Pist Protta visits Nomi's Kitchen, 5 November 2011, Nomi's Kitchen, Glasgow, UK. Tracey, S. (2011) Containers, creativity and quilt-making: an exploration of teachers’ conceptualisations of creative spaces for teaching and learning. Teacher Education Advancement Network, 2 (1). Walsh, Mike (2011) Narrative pedagogy and simulation: Future directions for nursing education. Nurse Education in Practice, 11 (3). pp. 216-219. Walsh, Mike and Crumbie, Alison (2011) Initial evaluation of Stilwell: A multimedia virtual community. Nurse Education in Practice, 11 (2). pp. 136-140. Warner, Diane (2011) Shakespeare and racial diversity for primary children: exploring ways to develop student teacher confidence. Teacher Education Advancement Network Journal (TEAN), 2 (1). Whelan, A. and Brown, J. (2011) Does the seen examination promote or constrain student learning? Practitioner Research in Higher Education, 5 (1). pp. 48-54. White, Peter D., Goldsmith, Kimberley A., Johnson, Anthony L., Potts, Laura, Walwyn, Rebecca, DeCesare, Julia C., Baber, Hannah L., Burgess, Mary, Clark, Lucy V. and Cox, Diane (2011) Comparison of adaptive pacing therapy, cognitive behaviour therapy, graded exercise therapy, and specialist medical care for chronic fatigue syndrome (PACE): a randomised trial. Lancet, 377 (9768). pp. 823-836. This list was generated on Mon Apr 22 16:02:28 2019 UTC.